Classics Today 10/10: "It's all wonderful". There are few collections of works that better fit the expression ‘a musical universe’ than the Choros of Villa-Lobos. Composed between 1920 and 1929, these works were scored for various forces – from solo guitar (Choros No.1) to choir and symphony orchestra (No.10) – with durations ranging from three (No.2) to sixty minutes (No.11). In terms of style they are equally diverse. 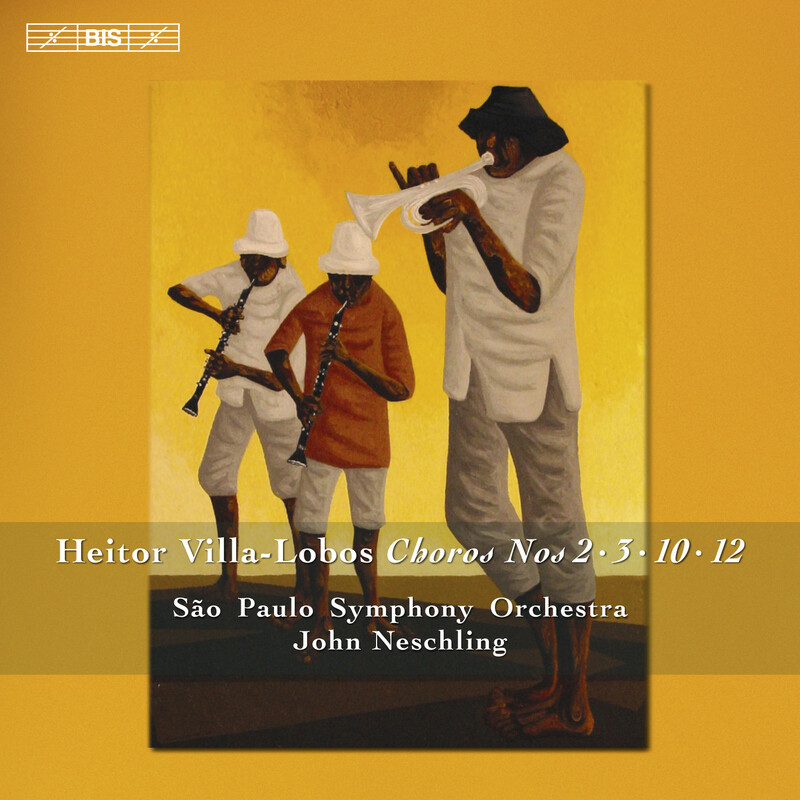 Villa-Lobos himself described them as ‘serenades’ and cited the influence from the music of the chorões, Brazilian popular musicians of the period. But in several of the Choros, for instance Nos 3 and 10, there are also reminiscences of the indigenous cultures of the Amazonas, and in others it is plain to hear that they were composed during Villa-Lobos’s years in Paris, where he enjoyed access to the most avant-garde circles. The previous two discs in this series have received great acclaim in the music press, for instance in Le Monde de la Musique: ‘John Neschling, his soloists and the São Paulo Symphony Orchestra defend this music with great energy and precision – a music which is eclectic without in any way being superficial, and whose rich and complex textures merit being rediscovered.’ Other distinctions include an Editor’s Choice in Gramophone and top marks on the website Classics Today, whose reviewer described the recordings as ‘performances that offer the last word in glittering color and rhythmic exuberance, engineered with maximum realism and impact.’ The present disc completes the cycle, which consists of the 12 extant Choros (according to Villa-Lobos himself another two were completed, but the manuscripts were lost before publication), a prologue (the Introduction to the Choros, incidentally composed almost last), and the Two Choros (bis) – an ‘after-thought’ in which a violin and a cello are left to sum up the cycle.